Business owners often face a frustrating dilemma: They’re so busy with the tactical work of their business, they can’t find time to create the structure needed to escape that tactical work. It’s an overwhelming cycle that—for many—feels inescapable. But I promise it’s not. It’s not easy to escape it, but it’s not impossible. It starts with a shift in perspective. 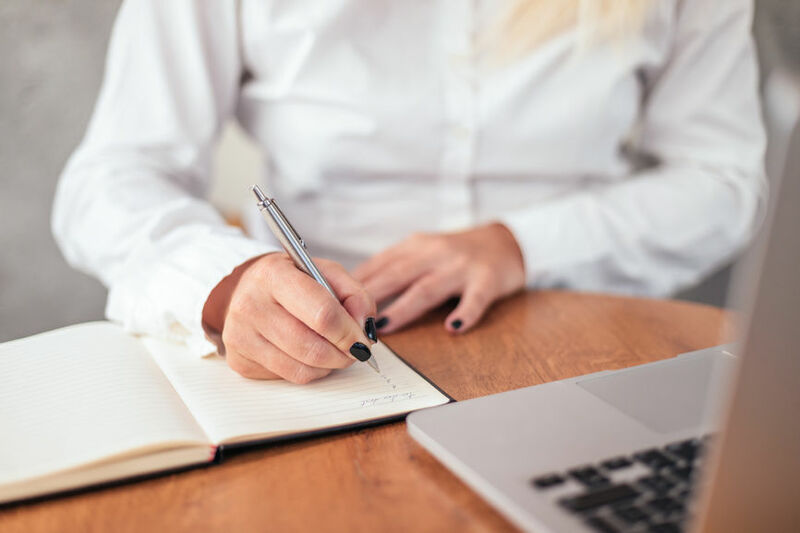 In our last blog post, “How to Find Time to Work On Your Business,” EMyth’s Director of Coaching Tricia Huebner offered some great ways to do that. Her tips about everything from creating systems for your life to coping with distractions can help you think about your time, your business, and your role in it, so you can start to create the space to be an entrepreneur. In this post, we’ll share seven tools every business owner needs in order to implement the tips Tricia shared last week, so you can organize your work and your life while still finding the time to be the leader your business demands you be. In the EMyth Coaching Program, one of the first things every client focuses on is time management. Why? Because to shift things in the business and give yourself time to work on it, you need to study how you work. To do that, you need to look at exactly where your time is going every day and track every activity, break, and interruption. And to do that, you need a tracking tool. Our Daily Time Log is perfect for those that like to write by hand, but Toggl is great for those that want something online. As a free digital tool that lets you start timing in an instant (adding details later if needed), it works perfectly to record daily activities with accuracy and can be easily adjusted for surprise interruptions. Early last year, the whole EMyth team used Toggl for two weeks to see how we were spending our time. We used that information to determine where we needed to hire more people, where we needed to build better systems, and where we were working the most efficiently. Toggl worked for us, but there are many different tracking tools out there—most with free basic versions—to suit how you like to work. Big goals are accomplished little by little. When business owners begin coaching with us, they’re eager to tackle the big issues in their companies, and understandably so. It can be challenging for them to take the big project of transforming their business and break it down into segments or bite-sized pieces. But if they don’t, they’ll never know where to begin—it just seems like too big a task. This one step of parsing out a big project can feel overwhelming, but that’s where project management tools can be an enormous help. At EMyth, we use Asana to take our large (and small) projects and build them layer by layer, detailing manageable tasks, each with their own owner and space on the calendar. Then each task feels attainable—not overwhelming. And when you’re trying to develop your business, that’s one major key to success: Make each process attainable so you can fit it into your life. There are plenty of other project management tools to choose from, too, so you can find something right for your company and work style. For example, Trello can be great for visual thinkers, while Freedcamp is perfect if you want something free and easy with the flexibility to upgrade. As a business owner, you likely never have a day where you complete every task on your to-do list and leave the office early. There’s always too much work. But the truth is that whether you can see it now or not, not everything needs to be done by you, and not everything needs to be done today. Our clients use an EMyth tool called the Daily Prioritizer, a template that helps you identify five high-priority tasks you must finish on a given day and five secondary-priority tasks you’ll get to if you have the time. But a simple notepad or to-do list will work, as long as you take the time to discern what’s important and why, and as long as you have no more than five tasks in each priority category. That way, you never lose sight of what you need to accomplish—and you’re more empowered to delegate the tasks you don’t have time for. A thoughtfully designed list of daily priorities becomes meaningless unless you actually carve out the time to attend to them. That’s why every high-priority task must make its way to your actual calendar, so you know you have the time to accomplish it. "We honor what's on our calendar." Whether you use a planner or another kind of physical or digital calendar is up to you, but it must include an hourly schedule that you block out, and you must commit to following it. At EMyth, we use Google Calendar so our calendars sync across all our devices and our teammates always know when we’re busy and when we’re free. So use your calendar for everything—not just your meetings, but your business development time as well. Use it to create an intentional routine that suits the times when you’re most productive and creative. If you need to write emails to five customers and you do your best writing before 10 a.m., block off that time on your calendar. If you need to call your suppliers or have a one-on-one with an employee, put these things on your calendar. Not only will you have a better shot at getting these things done, but as you step back to review your week, you’ll have a picture of your accomplishments. Becoming a strategic thinker can be a huge mindset shift. But for the technically-minded business owner, it’s a shift that must happen to truly transform your business and yourself. CEO.com offers some great tips for how to develop your strategic thinking skills. But as innately tactical thinkers, business owners can benefit from some hands-on tools. A good place to start is by getting more creative with how you look at your business processes, brainstorming ways to start “thinking outside of the box.” If you’ve never tried brainstorming, here’s a good introductory overview. Do this alone or with your team, using a whiteboard and pen or a digital tool like Lucidchart or Stormboard. Gradually, you’ll begin to distance yourself from the day-to-day and tactical parts of the business—and you’ll feel your relationship to the business change. In the EMyth Coaching Program, clients spend an hour a day on business development—we call this “the EMyth Hour.” Whatever you choose to call it, this is time you carve out specifically to work on your business during your work day. And it should be on your calendar. Once you’ve done that, commit to being conscious during this hour and to doing whatever it takes to prevent yourself from being pulled away. For many owners, this is the hard part. How do you secure that time? The best tool is a simple one: a sign on the door. Close your door. Put up a sticky note that says: “Working on the business. Available at noon.” Shut down your cell phone and email. And if it’s difficult to do this hour in the workplace, find a different, more creative space like a coffee shop. Take a run if that’s where you do your best thinking. Once you’ve organized your physical work environment, create a system to avoid—and in some cases permanently eliminate—your major distractions, whatever they may be. Thankfully, there are countless applications to help you turn away from emails, calls, and the internet so you can stay focused on your most important work—the work of building your business. Sure, a Vision Statement isn’t an organizational tool in the same way a calendar is, but we’ve found that having a written vision statement on display in your workspace is one of the most important tools to keep you focused on building a business that works. It provides the motivation to say “no” to things that consume your time and helps you remember what’s important and why—so even in the most distracting moments, you’re inspired to stay on task. The classic idea of a vision statement is the aspirational goal for your company in one sentence. But, in our Coaching Program, we encourage you take it further, to write out your vision of a healthy business environment. Be as vivid and detailed as possible when describing the work environment you want to create. Don’t hold back. Don’t be scared of the gap between where your business is today and how you’d like it to be. Just let yourself dream of your best business—the one you were inspired to build in the first place. If you’d like to learn more about how you can get help working on your business, sign up for a Free Coaching Session and spend 60 minutes talking with an EMyth Coaching Advisor about your business and your needs. Kirstin Fulton is a Content Creator for EMyth, where she partners with every department to develop content that inspires and educates business owners on their entrepreneurial journey. She has a background as a teacher, storyteller, and writing and editing for corporate events, digital and print media, and both business and academic curriculum. She’s passionate about serving the EMyth community—our clients, Coaches, and colleagues—through writing that brings clarity, guidance, and enthusiasm to the everyday. See all of Kirstin's posts.